Sky Swing, the Worlds tallest portable swing attraction. 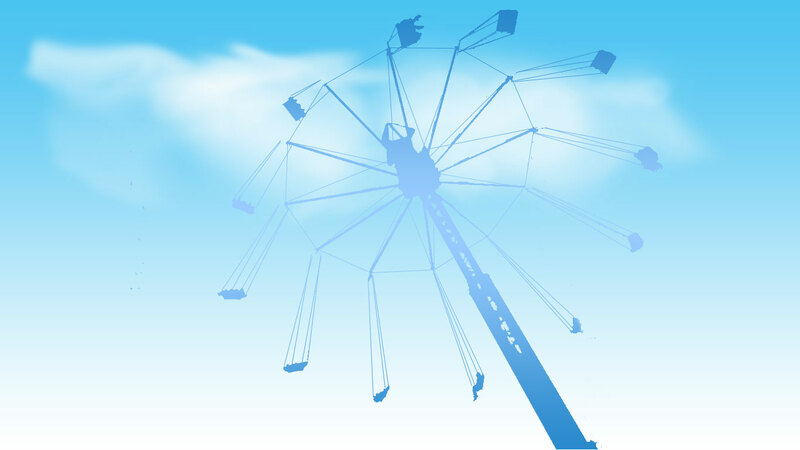 SKY SWING has been constructed in Holland by one of the worlds leading ride manufactures. It is mounted and transported on just two trailers, it is a master piece of design and technology. The tower has been designed telescopically this saves on trailer room and means that there is no need to use a heavy crane for the set up. The two trailers on which the ride is transported on are put into position and locked together, meaning the ride is fully self contained. One trailer sits at a 180 degree angle the other at 270 degrees this forms the base of the ride, the flooring panels are then laid over the top, forming the ride platform. “The Sky Swing” is available for public, private, and corporate events, it is also is ideal for T.V and film work. Ride your customers in the utmost safety and security, while providing them with a spectacular aerial view of your event and the surrounding area. This attraction will be the crowning center piece for your affair! The tower of the ride is a sky scrapping 60 m high, it has 12 arms on which the seats are held, each seat holds 2 people. Once the passengers are safely loaded, the main tower slowly rotates and the arms/cars are lifted gently up into the air, giving a smooth and pleasurable experience, the ride gives a wonderful feeling of weightlessness. 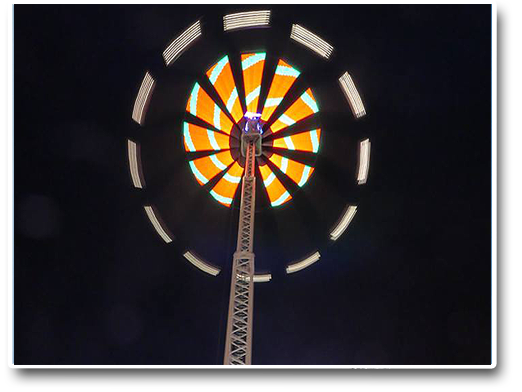 In its highest position the ride reaches a height of 200 feet. 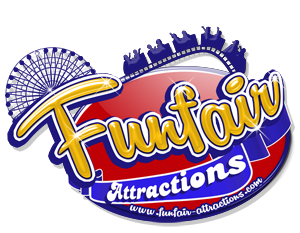 Riders of all ages, can and do enjoy this wonderful attraction, a minimum height of 48'' is required to ride.